When Entrepreneurs all over the world collaborate with each other, the results can be tremendous. Founder and Chairman, Inspiration Unlimited, Mr. Sujit Lalwani, met Mr. Carlos Jaramillo at the One Young World Conference earlier this year, and their collaboration is evidence enough that countries can come together for a greater cause if a few such people take the initiative. Talking about initiatives, here's an exclusive from Mr.Jaramillo. Mr.Carlos Jaramillo, RECOJO, Colombia speaks: "We recently launched the campaign to promote Bakongo 2012 (our main initiative) and this can help us get a broader audience. Bakongo has an official website of it's own www.bakongo.org. 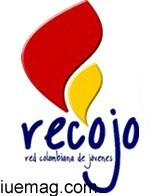 Many of you already know it's called "RECOJO" in Spanish are the initials for the Colombian Network of Youth. One Young World Ambassador, Daniel Buritica, founded the Organization when he noted that a lot of young people in our country wanted to participate as volunteers or become social entrepreneurs but that there was no space nor an entity working to gather all those people and guide them. Thus, the network was born and we've been working with young people in all sorts of social initiatives. Our motto is, 'If you help from your passions, you will love to help.' So when people come to us looking to join us we dont tell them what to do instead, we ask them what they like to do! 1. We use storytelling to inspire: this lights the fuse and motivates our public. 2. We create high quality social expe-riences: because Inspiration can vanish if not properly driven. These social experiences are the ones that introduce change in our hearts and show us that it is possible to build a better world. 3. We support and coach those willing to take their social ideas into projects and later, to social entrepreneurships. Whether you choose to become a social entrepreneur or not, going through the first two stages itself generates a learning experience that lasts for life. Our message has been heard by thousands of young people all over the world through platforms such as One Young World or IAVE (The International Association for Volunteer Effort). We want to inspire the world and that is why Inspiration Unlimited is a natural ally to our cause. As I said in the first edition of the e-Magazine, "collaboration makes us stronger".